Looking for pattern to this quilt...can someone help? Thread: Looking for pattern to this quilt...can someone help? The block is called keyhole. Here is a similar quilt, called flower Power, just need to add sashing. The strips are 2.5 " wide. I thought I saw that pattern somewhere with Brick in the name. Not sure where but if I find it I'll post. So I am guessing that is was originally on here that I saw the picture, and for whatever reason the administration took the picture and posting off the board. I think the MSQC has one on their back wall in some of their tutes. Theirs has some applique on it, but the pieced block is the same. It looks like the "Brick Wall" quilt. I made one from a Moda jelly roll and added the sashing between each block. My notes say the 'center' piece (of a contrasting fabric) and 'top' piece are 2 1/2" x 8", the left side piece is 2 1/2" x 4 1/2", the bottom piece is 2 1/2" x 10", and the right piece is 2 1/2" x 6 1/2". (all measurements are "unfinished".) Sash with 1 1/2" wide unfinished, or width of your choice. Sew the two 8" pieces together lengthwise, then add the 4 1/2" piece at the left end, then add the 10" piece on the bottom, then finally the 6 1/2" piece on the "right" end. Press each seam before proceeding to the next. It goes together quickly if you chain piece multiple "bricks". The most difficult task is arranging them on the design board before sewing all the rows together. Good Luck. After re-reading my instructions, I should have said "After completing the five-piece "bricks, then sash with 1 1/2" strips." This is one more quilt that is quite simple. Get out a pencil and graph paper and start sketching. I have seen it somewhere called the Mailbox quilt. You might try to google or bing it. I have a very similar pattern by SuzGuzDesignes called Candy Bar Road. If you want it, send me your addy & I'll send it you free. Just pay it forward sometime. You might be able to find a pic of it online. 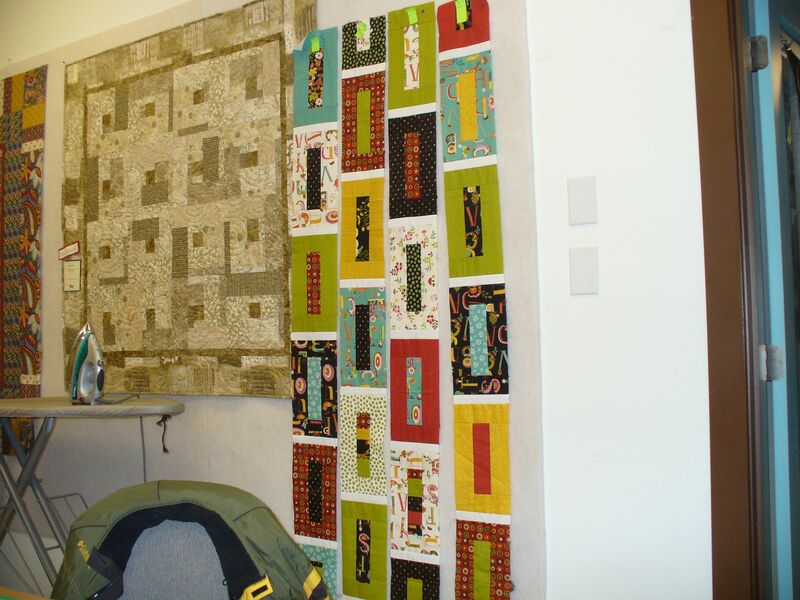 Just posted a tutorial: http://www.quiltingboard.com/t-160518-1.htm#4460809, but the link doesn't appear to be working. I must have copied it when she posted it back in October 2011 because it's in my files. If anyone's interested, let me know. Heronlady is correct. Those are the right measurements. YES, heronlady is correct. Those are the measurements. I made one, too. here is a picture of it in progress. Lots of leftover fabrics, too!! Last edited by Corky; 07-29-2013 at 09:59 AM. I have the PDF Tutorial if you still need it. That is a nice, fresh looking quilt! I like it! There are two you might get general instructions and adjust accordingly, called Mail Slots and Jelly Belly in the Fons & Porter Easy Quilts, Fall 2013.